The London Metal Exchange may ban companies from trading cobalt and other metals if they fall short of responsible sourcing standards. The London Metal Exchange (LME) is set to ban companies from its list of approved suppliers if they don’t meet industry standards, sources told Reuters on Tuesday (February 13). The LME is said to be working on its own responsible sourcing principles and will release them in the next few months. In order to trade on the 140-year-old exchange, producers will be required to follow stricter guidelines or could be removed from the LME. “The LME has to be policeman. It can do that by making sure industry standards on child labor and conflict minerals are being met, that there is auditing and certification,” said a LME committee source. More than 50 percent of cobalt, a key element in the lithium-ion batteries used to power electric cars, comes from the Democratic Republic of Congo, where mining has been linked to human right abuses. In 2016, Amnesty International exposed a connection between child labor and the battery supply chains of leading electric vehicle and electronics companies such as Apple (NASDAQ:AAPL), Microsoft (NASDAQ:MSFT) and Tesla (NASDAQ:TSLA). 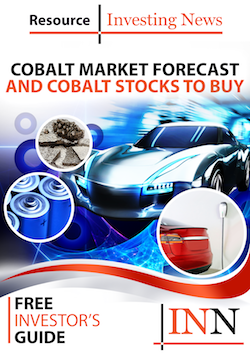 Concerns about cobalt traded on the LME arose last summer, when metal produced by China’s Yantai Cash Industrial appeared on the exchange. Many believe the company sources some of its unrefined cobalt from artisanal mining operations, which have a higher risk of using child labor. Last November, the LME launched an investigation, asking suppliers to provide information on how they will guarantee responsible sourcing by December 1. Most suppliers have now answered; stragglers will be given a new deadline, possibly the end of the third quarter of this year, or will risk being named and shamed, says Reuters. The process of establishing principles, adopting specific standards that have to be adhered to and allowing producers the time to meet the requirements could take up to two years, or possibly longer. “The LME is committed to facilitating the implementation of recognized responsible sourcing standards for its listed producers and expects to issue further guidance on this topic over the coming months,” the exchange said in a statement when asked about the possible ban on cobalt suppliers. Currently there is no single industry-wide standard for responsible mineral supply chains, but the Organization for Economic Co-operation and Development has a five-step framework and the Cobalt Institute is also developing its own standards.